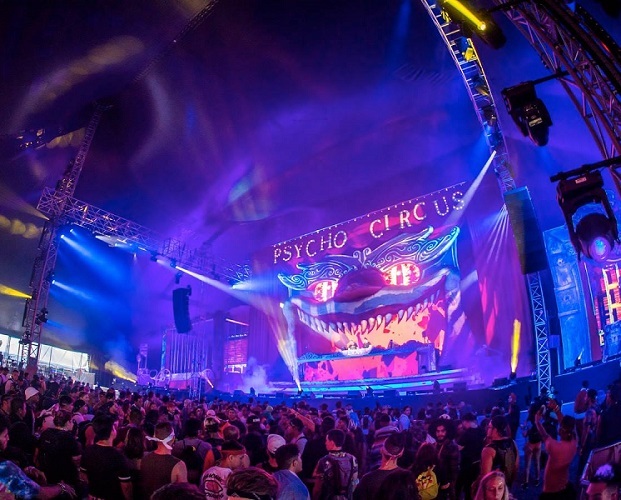 All the ghosts and ghouls, ringleaders and animals, and other creatures of all forms came out to play last weekend at Escape Psycho Circus. There were all sorts of tricks and lots of treats, as souls from far and wide made their way to enjoy the music that we all know and love. 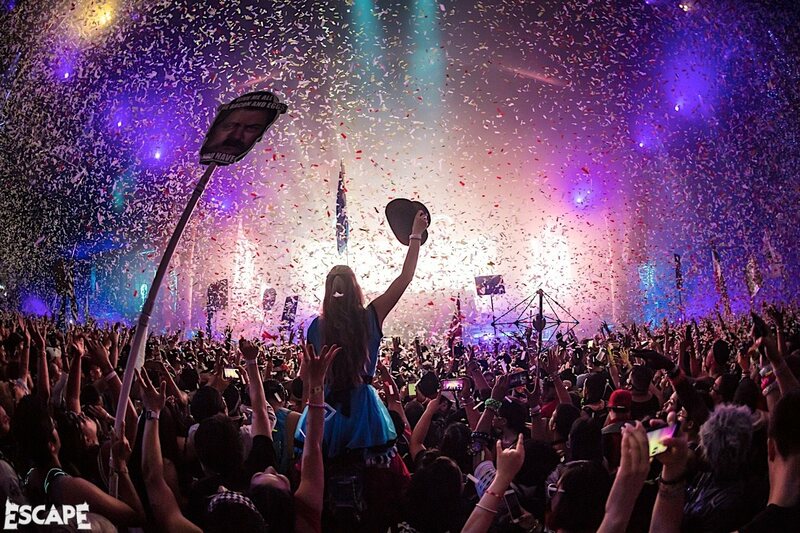 We all gathered together and danced the night away at the NOS Events Center in San Bernardino, California. 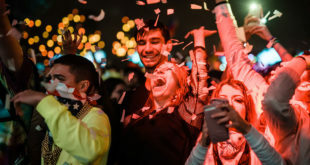 There was always something to be doing, whether you were dancing the night away at one of the four stages, eating delicious food, riding the Ferris Wheel or the Carousel, watching the magic show, or simply dancing among the shadows, Escape Halloween is something that we will never forget. Two-day events never seem long enough, you get a little taste and then you want more. But we certainly made the most of the two days that we were at the festival. Friday night kicked off and we were off, hoping for lots of treats to come our way. There were four stages, each holding all sorts of amazing artists. Bassrush hosted the Ghouls Graveyard on Friday, and Basscon took over the Chopping block. Friday was probably our favorite of the two nights, especially thanks to all the talented artists that Bassrush brought. There was some DnB, Dubstep and even a little Trap. It’s really hard to pick a favorite from this night, some of the best sets we saw were Ray Volpe b2b Tisoki, Datsik, and Virtual Riot b2b Barely Alive. Those b2b’s were dropping fire. We heard so many killer tracks dropped, lots of Svdden Death and even MurDa! 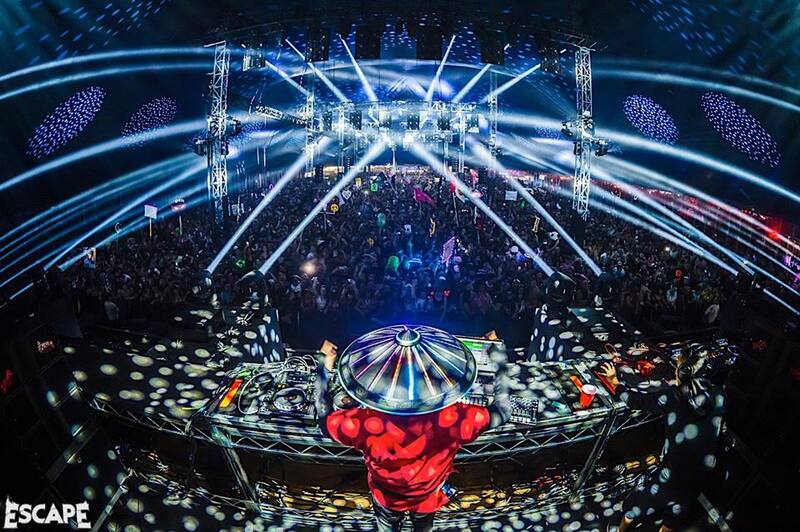 Datsik of course brought those old school Dubstep vibes with his set. Another stage we really enjoyed hanging out at was the Corona Beach Club. Not only did some amazing artists play there over the weekend; but they had huge fans and misters in there to keep us cool. The stage was 21+ too which was definitely a nice break from the rest of the crowd. We caught Swage b2b YDG there Friday night and Baauer there on Saturday. There was crazy dope energy with that crowd. Saturday rolled around and it was a very bittersweet feeling, the end of festivals and events is always so sad, yet satisfying in a way. Your soul always feels so full of happiness and wonderful music. 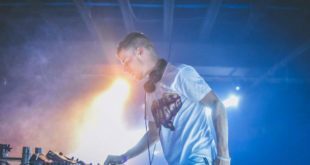 This night Audiotistic hosted the Chopping Block, bringing some killer sounds from Boys Noize, Baauer, and more. We kicked off our final night with Luca Lush, and wow did he kill it. One of our favorite sets of the night, was at the Slaughterhouse, from Slander. One second they would have us headbanging, and the next they’d have us all in our feels. Hearing “Without You” dropped was a beautiful moment, looking around and being surrounded by so much love. We ended the night with Boys Noize, getting into those Techno vibes. Insomniac really did a wonderful job with Escape this year. The setup was super amazing, we really liked how they always had magic shows going on. It made for something fun to do and a nice way to just sit and relax if we needed a break from dancing. The food was amazing and there was tons of variety for everyone to be able to eat. It was super awesome that they even had vegan options, and those pineapple and watermelon slushies were prime in that heat. Escape was one for the books and we cannot wait to return next year!